The glamorous superyacht marina Porto Montenegro, on the shores of the Adriatic on the Unesco protected Boka Bay, truly is a year-round destination. Here are a few reasons to visit Porto Montenegro, an undiscovered gem where east Europe meets west. This winter, Regent Hotel and Porto Montenegro village have teamed up to offer guests the perfect combination for a frosty day. From luxury accommodation to shopping and spa facilities and delicious food, there’ll be plenty of reasons to keep occupied. Fewer things are more exhilarating than going off-road in a Jeep, and with flexible arrangements to suit one-day or multiple-day tours, you can choose an experience that works for you. But be warned - the icy conditions of the Montenegrin winter can raise hairs on the most experienced adrenaline junkie. Montenegro’s many towns and settlements are home to some of the quaintest of markets; from Christmas markets offering stunning trinkets and decorations purchases, to farmers markets boasting the freshest and tastiest Mediterranean produce, a day trip to the local bazaar will offer you a culturally enriched experience. Breads, honey and cured meats are among the best buys. If trekking through the snow is not quite for you, why not enjoy the sights from the warmth and comfort of a helicopter? Get a bird’s eye view of this stunning country and its rich historical and geographical landscape. Kotor’s winter carnival takes place each February, celebrating the culture and art scene in the region. For the last five years, people of all ages and backgrounds have gathered to immerse themselves in the artistic buzz that this carnival has to offer; a must visit. Very similar to quad biking in the summer but with a blanket of snow and incredibly invigorating. This is a fun activity for the entire family to enjoy, not to mention a practical way to get around and absorb the scenery. Take a hike through the snowy mountain tops and capture moments that even your Instagram filter would struggle to compete with. Just remember to dress for the occasion and fill your backpack with Montenegrin hot chocolate or traditional rakia to help keep you warm in the crisp mountain air. 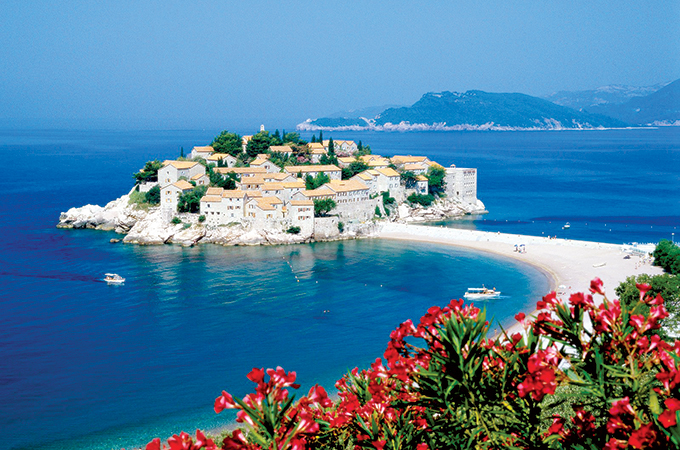 Each year, Montenegro’s top clubs and hotels throw the most memorable New Year’s parties. If you're looking for a sophisticated and charming way to see in the New Year, look towards, Hilton, Splendid and Regent. If you want to dance the night away and party hard, Ibiza style, Top Hill and Maximus are definitely the way to go. Unlike most of Western Europe, Montenegro is relatively untouched, making it the perfect destination for a true and authentic travel experience, particularly in winter. Get a flavour for the country’s Venetian coastline or, for a more south Slavic ethno vibe, head further north. Winter is a great time to have a coffee with locals, hear their stories, and experience the slow and relaxed pace of Montenegrin life.